Malted barley is dried over a peat fire. The smoke from this peat, found only on Islay, gives Laphroaig its particularly rich flavour. 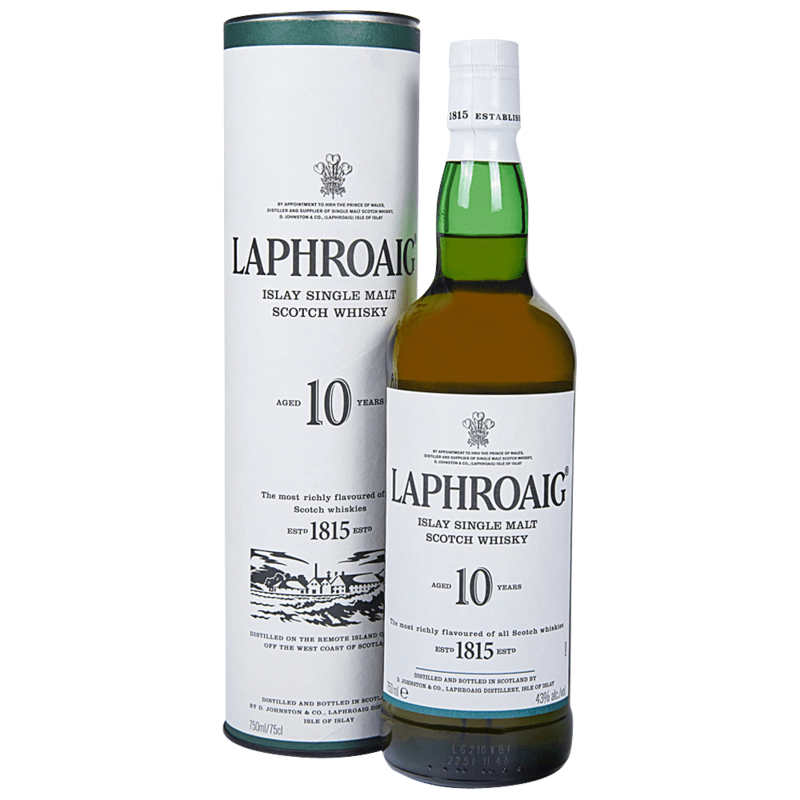 The 10 Year Old is bold, smoky, with hints of seaweed and a surprising sweetness. This full-bodied variant is the foundation of all Laphroaig expressions. At Laphroaig, for 200 years a small team of dedicated islanders have worked to create what is considered to be the most distinctive single malt in the world. Of course over time the people change, but the traditional methods, the ancient skills and absolute dedication to quality always remains.